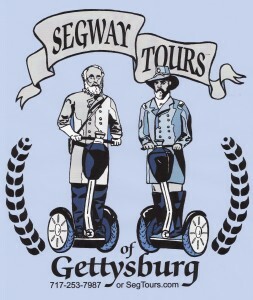 In response to many requests, we now have SegTours of Gettysburg shirts available for purchase in our shop! 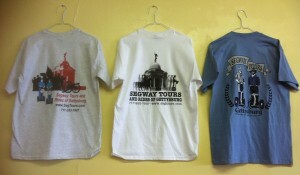 Three shirt designs are available. Each of the graphics depicts the back of the shirt. The front reflects our company logo. These shirts are available in sizes ranging from Small to 2XL. Stop by our shop at 22 Springs Avenue in Gettysburg to get your very own – or give us a call at 717-253-7987 for a quote on shipping. I particularly like shirt design #3 with Grant and Lee on it. 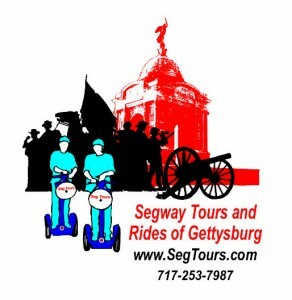 What a great way to see Gettysburg…on a Segway! 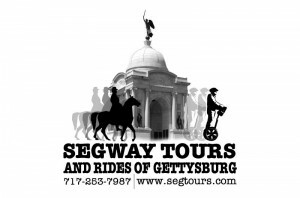 I’ll have to check you out the next time that I go through Gettysburg on my way to Albany, NY.